Help Children to understand & speak English. 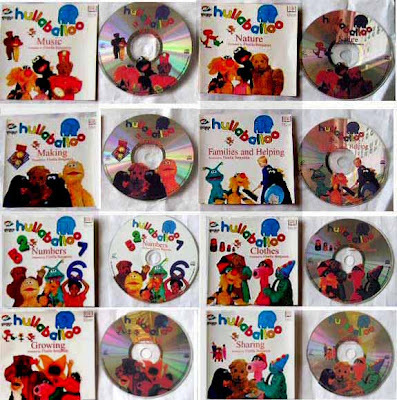 Explore Music, Making, Sharing, Growing, Families and Helping, Nature, Numbers, Clothes with Foella Benjamin and Ted Bear as they lead their friends in a HULLABALLOO of music and dance, stories and games. BUDDY the elephant and PIP the mouse, MR MAGIC, LES, and a host of loveable puppets, bring fun and humour and magic to delight and stimulate young children’s imaginations, while they learn about the world around them. Please note: These are the Good Quality Original vcds - not burned cds or copies - Barter Items that's why the price is low. Free Delivery to KL & PJ areas. Self Collect allowed (contact no. must be given). To purchase or to enquire, e mail to jalkent7@yahoo.com. VCD: Free Willy 1 & 2 vols.